We’re a friendly, reliable, locally-run, family run business. 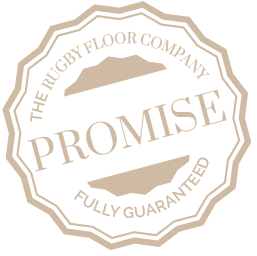 Specialising in the design, supply and installation of top quality floor coverings for domestic, trade and commercial projects. Call in to our gorgeous new showroom in the beautiful village of Dunchurch to view our extensive range of Quick Step Laminates Karndean Design Flooring, Ted Todd Engineered Wood and Parquet floors. Now including our brand new range of Louis de Poortere pure wool rugs. With over 30 years combined experience in the flooring industry, we offer an unrivalled advice service and can recommend the best products to suit your needs at a price to suit your budget. Our design-trained advisors will be happy to help you create the perfect floor for your space. They can help you with design aspects such as style, size, texture, colour/tone and patterns and borders. We offer a free sample service from our showroom and can organise for larger samples direct to your home should you require that extra level of certainty. We’re committed to exceeding your expectations and we pride ourselves on the quality of our workmanship. All our work is fully guaranteed for a minimum of 2 years. We provide an end-to-end fitting service which includes damp testing and damp-proofing if required. Meticulous levelling and sub-floor preparation. Installation of your new floor plus all skirting and carpentry works if required. All of our fitters are fully trained by us, so you can be sure to get the most personal, reliable and professional service – every time. We operate a free, no obligation measuring and quotation service at a time to suit you. We don’t believe in hard sales.